Construction involves more than just wearing a hard hat. They’re jobs that require problem-solving abilities and math skills like calculating measurements, weights, and the ability to read blueprints. Jakob Soper has construction work in his blood. After years of growing up around his brother’s successful construction business, he knew he, too, wanted a skilled trade. Jakob chose welding and began down the manufacturing path as an entry-level light builder at Full-Spectrum Solutions in Jackson, Michigan. Jakob’s welding career really sparked after completing two U.S. Michigan Department of Labor-registered apprenticeships over a five-year span. He earned a journeyman’s license and his AWS D1.1 welder certification through technical career apprenticeships offered by the Jackson Area Manufacturers Association in partnership with The Enterprise Group of Jackson and South Central Michigan Works! And the best part for Jakob? He’ll be able to use his licenses and certifications wherever he goes across the United States. His future is as strong as the welds he creates―and all because he chose a skilled trade path less taken. Construction in Michigan displays a higher than average share of workers in the prime-working age group of 35 to 54. 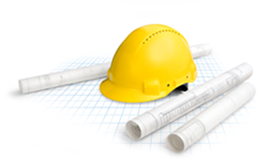 About half of Construction businesses are small, with zero to 19 employees. Construction ranks first in Michigan with the percentage of a self-employed workforce. Building permits for housing has almost tripled since the 2009 recession (from 6,900 in 2009 to 20,400 in 2016). The recovery of construction employment today (2016) is stronger in the state than it is nationwide, according to the Michigan Bureau of Labor Market Information and Strategic Initiatives. Take a Construction Skilled Trades Tour with Tom Daldin at Erhardt Construction. Tom Daldin talks to children about early curiosities and Skilled Trade jobs in Michigan.